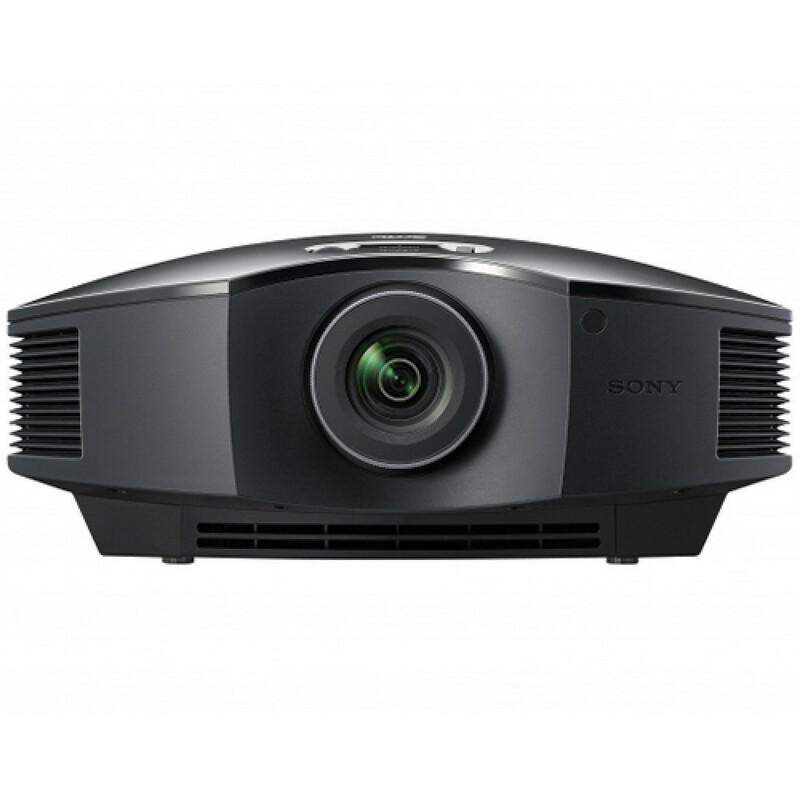 Made for movie lovers, it\'s packed with technology developed for our professional Digital Cinema projectors, including SXRD panels and our own Advanced Reality Creation upscaling technology for fabulously detailed Full HD images. Generous 1,800 lumens brightness ensures that films and TV shows look clear and sharp, even in daylit living rooms. Compact and easy to set up, the VPL-HW45ES fits neatly into any home theatre or living room, with quiet fan noise that won\'t disturb the show and a front-facing exhaust port for extra installation flexibility. The projector\'s long-lasting lamp is rated foran extra-generous 6,000 hours operation, for fewer interruptions and reduced maintenance costs. Cinema-quality SXRD panel technology is teamed with Reality Creation - Sony\'s Super Resolution processing that refines subtle details, colours and textures. You\'ll see the difference with crisp, sharp Full HD pictures that take you closer than ever to the original 1080p source. Coupled with the panel\'s super-fast response rate, Motionflow technology means you’ll see every detail with minimal blur - no matter how fast the action. The projector\'s built-in RF transmitter synchronises with any RF 3D glasses for wider coverage and greater stability, so there’s no need for an external transmitter. You\'re always up to date with the latest features and firmware updates via the projector\'s USB port.